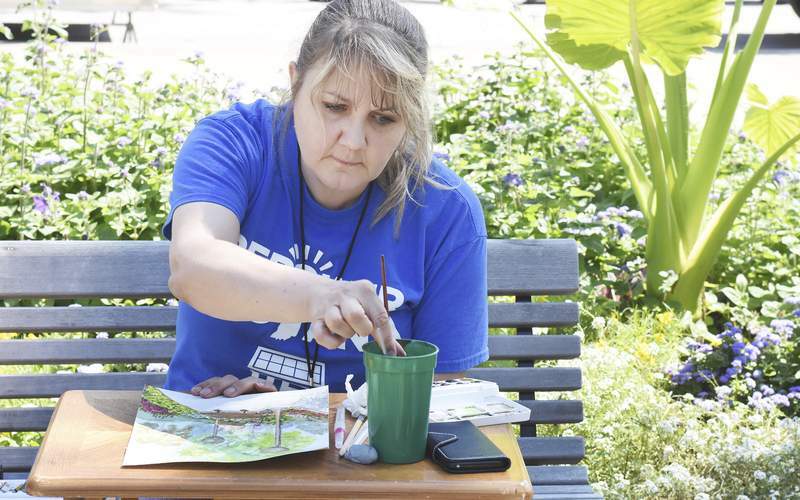 Rachel Von | The Journal Gazette Kathy Kalthoff works on her painting while sitting on a bench in Freimann Square along Main Street during the The Fort Wayne Artists Guild's second annual Kekionga Paint Out & Art Sale on Thursday. The Kekionga Plein Air Paint Out and Sale is a competition where artists paint around Fort Wayne. The paintings are then judged and sold.